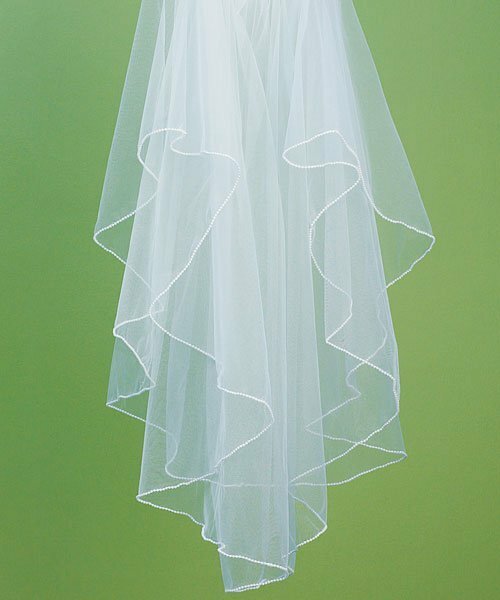 SHARE This white standard tulle 2-tier veil has a continuous pearl edge for a simple and elegant look. The veil is 72" wide, 32" long in the front and 37" long at the back with a comb at the top to secure to your head. 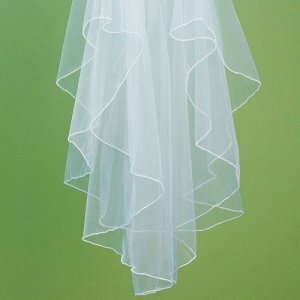 A simple edging of pearls add just the right amount of charm to this basic veil.